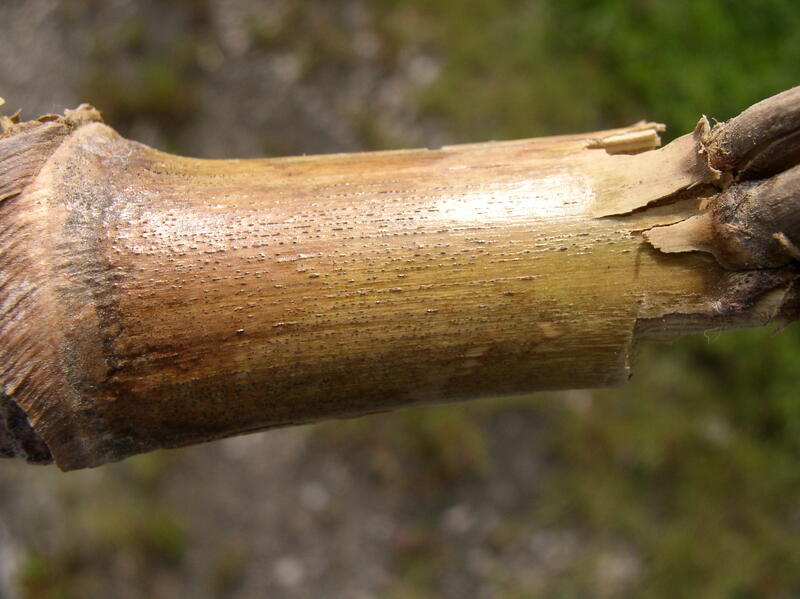 Diplodia stalk rot is caused by the fungus Stenocarpella maydis. 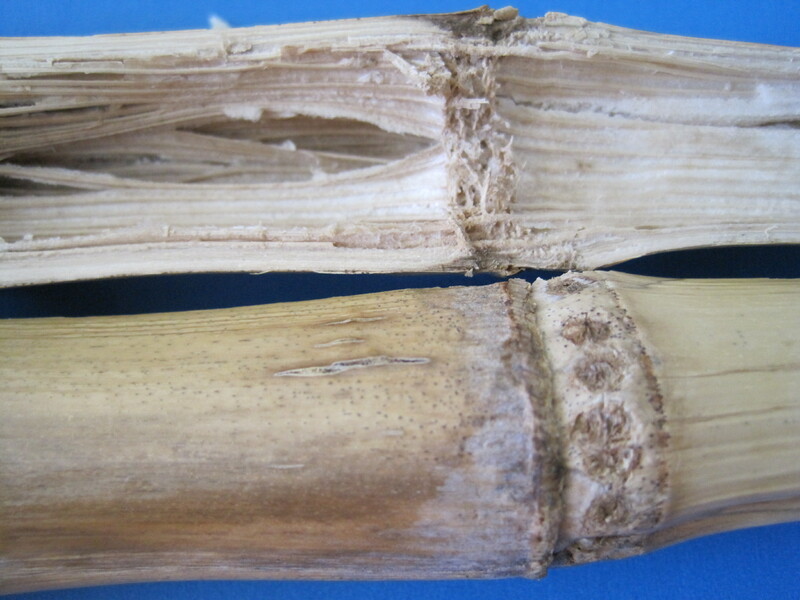 Plants affected by Diplodia stalk rot have shredded pith and die prematurely. Numerous black dots, about the size of a pinhead or smaller, can be observed in the lower internodes of the stalk. 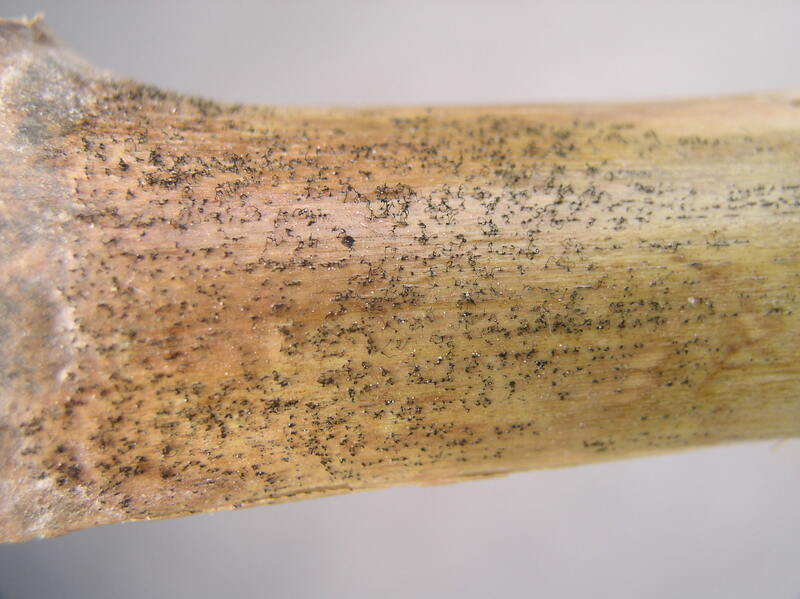 Under very wet conditions, a white mold may develop on the stalk surface. Infections occur through the crown, roots, mesocotyl, and lower nodes. Insects possibly carry the spores and introduce them into feeding wounds. 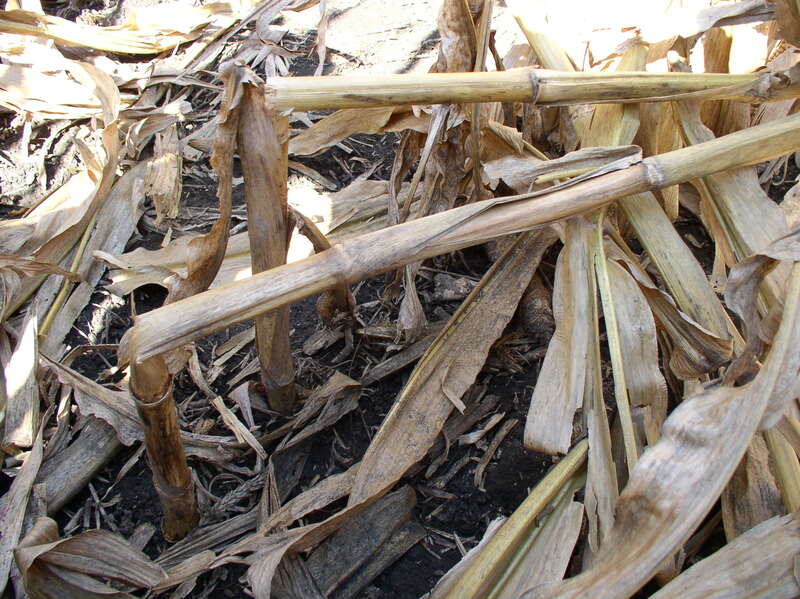 Diplodia stalk rot is favored by dry conditions early in the season followed by warm, wet conditions after silking. The disease is more prevalent in corn following corn. 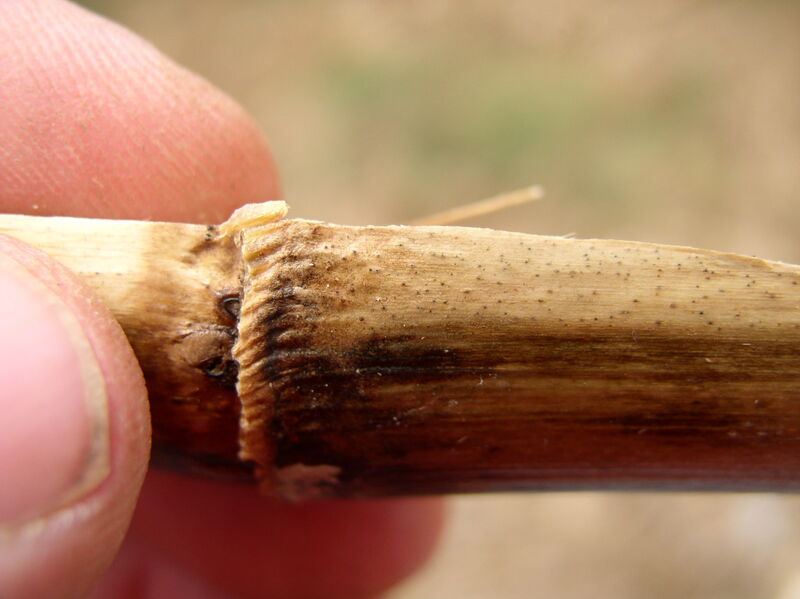 Stalk lodging from Diplodia stalk rot. Small, black pycnidia on the stalk cannot easily be scraped off. Signs of Diplodia stalk rot include pycnidia on lower internodes. Pycnidia, a fungal fruiting structure, cannot easily be scraped off. 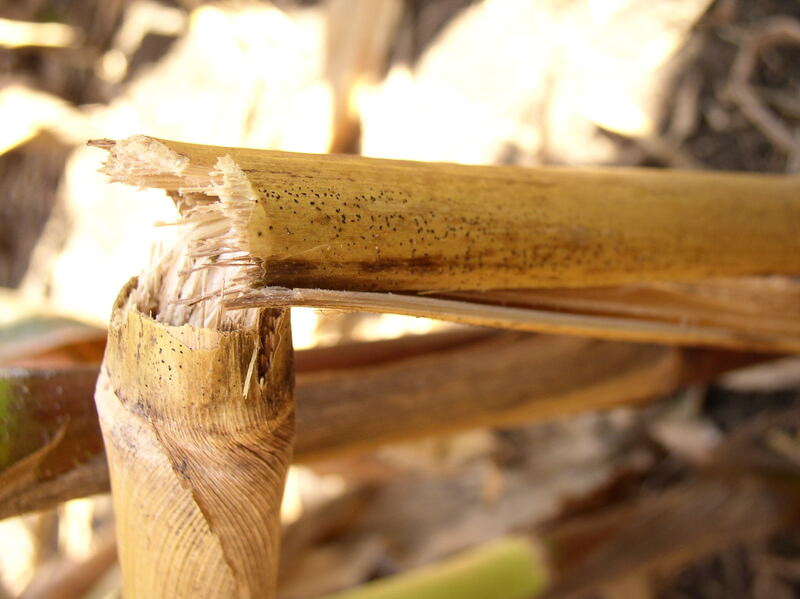 Shredded pith from Diplodia stalk rot. Diplodia stalk rot can result in small black pycnidia on the lower internodes.